What is a Folk Camp? A Folk Camp holiday is unique. Located in beautiful countryside you will spend your holiday in a community of friendly people, surrounded by folk music, dance, song and a huge variety of other activities. Different generations and people from all walks of life mix easily to live together and have fun with each other. Folk Camps is an easy experience and a truly memorable holiday. We have a hall or a marquee in summer, a hotel in winter, and volunteers organise workshops, day-time activities and evening entertainment. Our summer marquee camp is in the Peak District this year. Have a look! Our first camp of the season is based around Loxwood village hall over the early May bank holiday weekend. A good taster! Music, dancing and fun, along with interesting patterns. This is one of our favourite dances: Devil’s Dream, an American Contra, re-worked into a circle formation. Of course we don’t just dance Devil’s Dream, but this was a fun activity at one camp where someone had an idea and the enthusiasm to make something unusual happen. This video was the result. At each Folk Camp, something unexpected and fun is very likely to occur. On weekend camps it’s self-catering, at week-long summer camps your meals are provided by different teams of campers who prepare food each day and we eat communally. You don’t have to join in everything. There’s plenty of time to visit tourist attractions nearby, or to go to a beach or have an afternoon out. Campers bring their own tent, campervan or caravan. There are flush toilets and shower facilities. 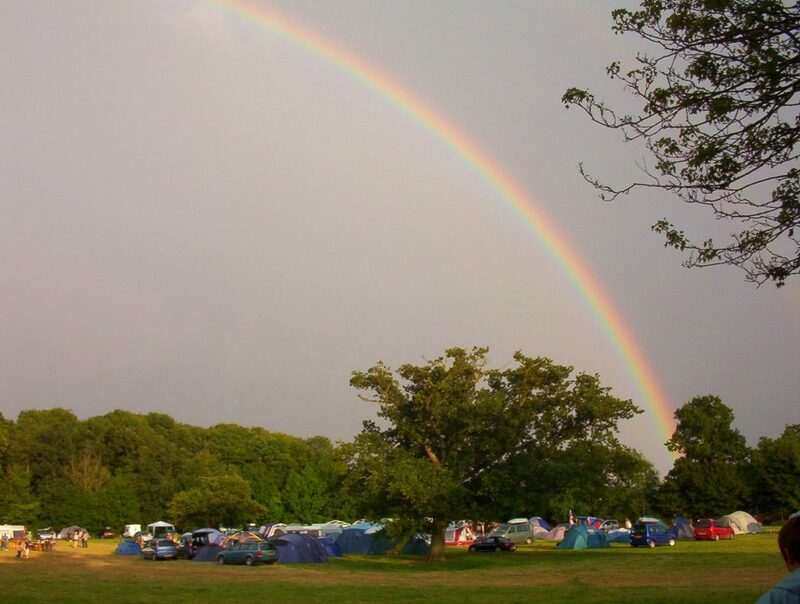 With a leader, musician, warden and caterer to organise the camp, different generations mix easily and you’d be amazed how quickly you’ll feel at home at Folk Camps. Don’t just take our word for it, this is what people are saying about Folk Camps. Find out more about Folk Camps Holidays.